Whether you’re a beginner or chasing down a personal best, this book can help you do it better! 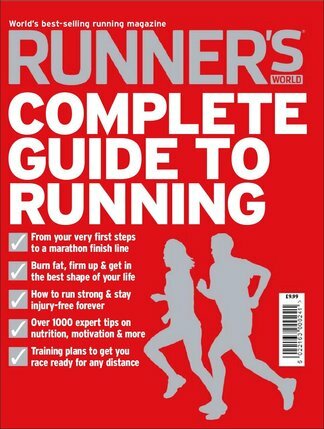 The complete guide has more than 1,000 top tips from experts and editors of the world’s best –selling running magazine. It brings together years of knowledge and experience from the Runner’s World team, giving you all the information you need to run successfully. For just £9.99, it will help you train and eat well, avoid injury and motivate you to get the most out of your running. You’ll also find easy-to-follow training schedules, proven weight-loss plans and inspirational real-life stories. Be the first person to tell us what you think about Runner&apos;s World Complete Guide to Running and you'll save $5 on your next purchase! https://www.isubscribe.com.au/runners-world-complete-guide-to-running-digital-subscription-36930.cfm 36930 Runner&apos;s World Complete Guide to Running https://www.isubscribe.com.au/images/covers/au/5254/36930/square/RunnersWorldCompleteGuidetoRun1916104025.jpg AUD InStock /Digital/Health & Fitness/Running Whether you’re a beginner or chasing down a personal best, this book can help you do it better!